Wilbur and Anastasia are two lucky pigs. 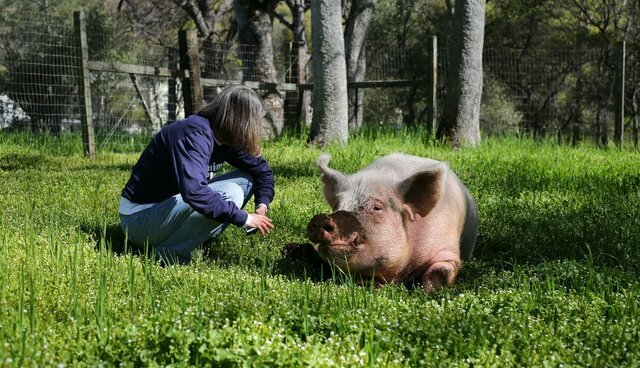 After spending years living at a northern California "sanctuary" and rescue, the two are safe and sound at Animal Place where they can experience life as pigs should. Wilbur is large, pink, and loves humans. He spent the past five years in a 20 by 30 inch dirt pen with no enrichment. His muscles are weak from lack of exercise and he suffers from an untreated fungal infection in his ears. 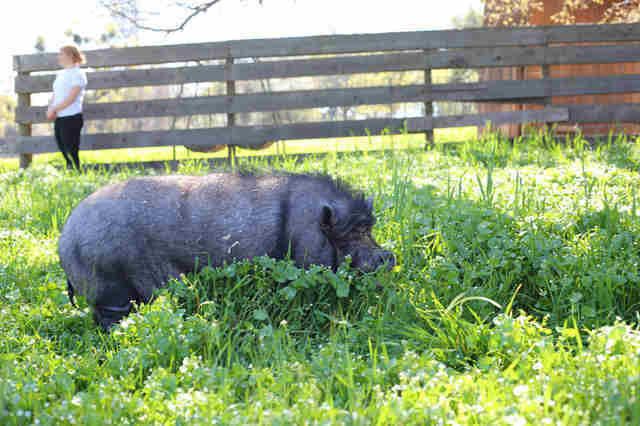 Anastasia the potbellied pig spent the past decade in a 15 by 20 inch dirt lot. She is severely overweight and can barely see, the skin around her face has folded over, obscuring her sight. Because she has not been allowed to forage, her lower teeth have not worn themselves down, now pointing awkwardly out of her face. 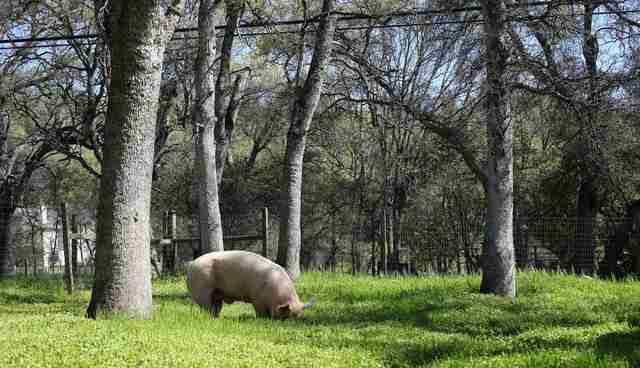 At Animal Place, Wilbur and Anastasia both have pastures that are 70 times larger than anything they have experienced. 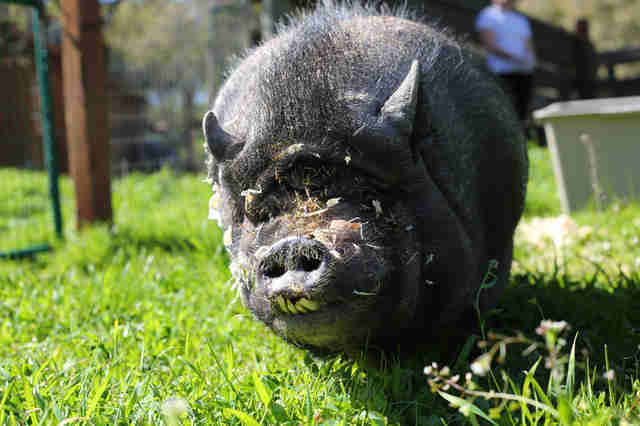 Wilbur will receive treatment for his fungal infection and pain medications for his arthritis. Anastasia is on a special diet full of fresh fruits and veggies. Animal Place took on the responsibility for Wilbur and Anastasia after the horse "sanctuary" where they lived stopped operating and animal control took legal custody of all the animals. While the horses found safe haven with permanent homes or other equine rescues, Wilbur and Anasatasia were left without placement.